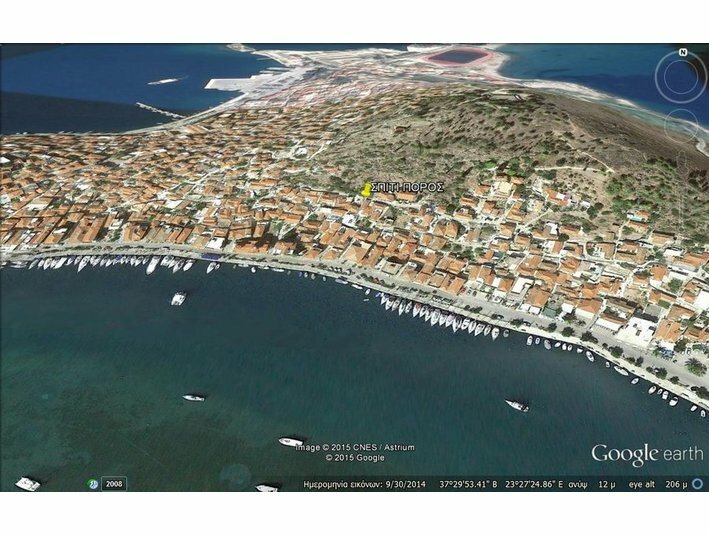 Small stone house in the village of Neochori on Samos for sale. House needs a little updating, and has not been lived in for a while. The house has a garden with fruit trees. It is a little overgrown but in general in good shape. There is a stone fence around the property with an iron gate. A balcony on the back. Views to the Aegan sea from the property. The house has an unfinished basement. Owner inherited the house from her aunt, but lives to far away to want to keep it. The house is 53 m2, There are 2 sleeping areas, kitchen and bathroom. Fairly new hardwood floors. Heigh ceilings. The house is sold "as is".